What is a world view and why is a discussion of world view essential to even the most basic attempts to create and sustain Christian belief? Quite simply, one’s world view is the perspective one uses to process and interpret information received about the world. James W. Sire put it this way, "A world view is a set of presuppositions (ie. assumptions) which we hold about the basic makeup of our world." We live in a world in which the Christian world view is not only not the norm, to the vast majority-even to many who attend church regularly-it seems about as strange as belief in lepruchans or the tooth fairy. Our intellectual institutions are dominated by postmodern philosophy and scientific materialism. 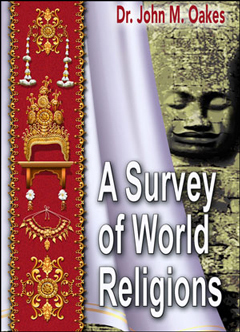 Many believe that all religions are more or less the same. The very existence of truth is denied, both in the halls of our universities and in popular media. It will be very difficult to plant the seed of rational evidence in such unfertile ground. 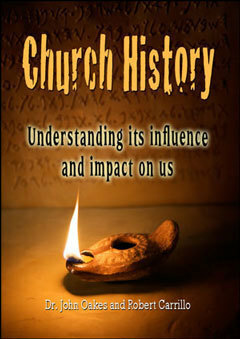 We must explore and explain the major world views and demonstrate carefully why that proposed by the Bible is superior, because it is logically most consistent with the world as it really is, because it answers most successfully the fundamental questions all human beings ask, and because in comports best with what the human conscience knows is good and right. It is our intent to offer a series of articles through the newsletter for the next few months analyzing the most influential world views in modern culture. We will be contrasting these to the Christian world view, explaining why we feel that the Bible offers a view of the world which is superior, both in its consistency with the world as it is and in the way it solves the fundamental human questions. For those who want to dig a little deeper into the topic, let me suggest a good primer on the subject. It is The Universe Next Door, by James W. Sire (several copies available as I write at Amazon for less than 1$!). For those who want to dig really deep, there is the tome produced by J. P. Moreland and William Lane Craig, Philosophical Foundations for a Christian Worldview. A note of caution, this book is not easy reading and it is not cheap to buy! In the interest of full disclosure, let me say from the start that I am not an expert in philosophy and world view. I have paid much-increased attention to philosophy and theology in general the past several years. Besides, for a number of years I have taught a class in the philosophy of science which has much overlap with ideas about world view. Nevertheless, I remain a neophyte in this area. I am eagerly awaiting the course sponsored by ARS to be taught by Dr. Robert Kurka of Lincoln College this coming March 6-8, 2009 in San Diego. I am sure I will learn a lot from this course. 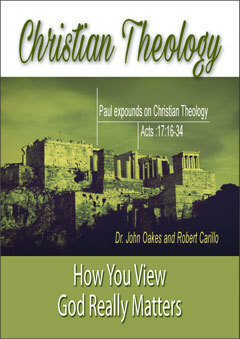 In this, the first essay of a series, I will be describing the Christian world view. It is tempting to assume that a Christian, almost by definition, understands the Christian world view, and of course there is a grain of truth in this. However, it is my own experience that many believers in Jesus Christ have an insufficient understanding of how Jesus Christ viewed the world in which humans exist. For this reason, this essay will be used both to more carefully define the world view to which Christians ought to hold, and as a point of comparison when we discuss the world view of postmodernism, naturalism, new ageism and the major world religions. First, let us ask what a "good" world view ought to look like? Is a "good" world view, by definition, one that we like-that we find ourselves naturally agreeing with? Is it one which creates good physical or emotional health? Is it the one which creates the greatest amount of human happiness? Perhaps it is the one which results in the creation of the greatest amount of economic growth and movement away from poverty and political upheaval. In fact, according to one world view, that of naturalism, there is no such thing as a "good" world view, as all such value judgments are meaningless. There is a sense in which this question of what constitutes a good world view is a personal decision for all of us. Each of us reading this article must, in the end, decide what constitutes a good and legitimate world view. Let us put this out there as a starting thesis. It is not possible to have no world view at all (please forgive the double negative). We will have one by default if we do not choose to think about it. Given that our world view in large measure defines who we are and determines how we live our lives, surely it is worth the time and intellectual effort to examine, evaluate and perhaps even change our world view toward one which more accurately reflects reality and makes us a better citizen of the universe in which we live and move and have our being. The first quality which one might want to consider that makes a world view "good" is that it is true. To hold to an idea which is false is surely not to be preferred to holding to an idea which is true. There is no virtue and there is very rarely an advantage in being wrong. What makes something true? This is a question for philosophy, but let us try to keep this relatively simple. Something is "true" if it is consistent with reality. This is sometimes called the Correspondence Theory of Truth. If a belief is in clear contradiction with well-established facts about the world, then it is not true. This may seem a truism, but we will see that the Postmodern does not accept the Correspondence Theory of Truth. If one holds to the belief that gravity does not operate to attract masses toward one another, that view will be disproved by letting go of a heavy object. If one holds to the idea that refusal to communicate leads to peace, that too will be shown by reality not to be true. The sticking point, of course, comes with defining how one decides what is reality and what is true. One perspective, that of the empiricist, is that truth is determined solely by what we can observe with our senses and what we can measure with our instruments. Another perspective, that of rationalists such as DesCartes, is that which is true is that which my mind and clear reasoning tells me is true. What is true must be logical. The one who said, "We hold these truths to be self-evident" was speaking as a rationalist. Most of us who do not occupy the rarified regions of philosophy can be more practical in our definition. We can combine the two ideas. Those things we hold to be true must be consistent with what we can observe-with our own "history" and hopefully that of others, and they must be rational-logically consistent. It must not be supported by circular or patently poor reasoning or require us to believe what we know not to be true. 9. What is the nature of my relationship, with the "prime reality?" The third quality which makes for a "good" world view is that those who ascribe to it are better human beings for having taken this as their world view. Again, of course, "better" is going to be subjective, but there are a few measures to which nearly all people can agree. If one’s world view results on balance in an increased likelihood of genocide, racial or any other kind of hatred, poverty, anarchy, physical and emotional suffering or war, then such a world view is easily identified an deficient. We will be subjecting the important world views to scrutiny based on these three definitions of what make for a good world view. Is it true? Does it successfully answer the important questions? and Does it make those who hold to it "better" people? Clearly, a lot of things can be included under the heading of the Christian world view. My intent here is to keep it very simple and not necessarily provide a lot of scriptural support at this point. We will add to these ideas as we go along, as well as giving them flesh. In order to provide a useful basis as we proceed to analyze, compare and contrast other world views with that of Jesus, the points will be outlined and numbered. These points are established before we get out of the first chapter in the Bible. The reader should be aware that these presuppositions are definitely NOT held to by many of the influential world views. Many believe that the physical world is an illusion. Many believe that the universe(s) have existed forever. Even more hold to the belief as part of their view of the world that physical reality is corrupted and evil. To summarize, consider Genesis 1:31 (NIV) "God saw all that he had made, and it was very good. And there was evening, and there was morning-the sixth day." A scripture which supports both this presupposition and the first is Hebrews 11:3 (HCSB), "By faith we understand that the universe was created by the word of God, so that what is seen has been made from things that are not visible. This verse also can be used to support our third point of the Christian world view. 4. Although the physical world is good, evil does exist. Such evil is the result of freedom of will given to created beings and their subsequent decision to use that freedom to "sin" (defined as transgressing the will of God). My intention here is to analyze how "good" (good being defined above) the Christian world view is principally by comparing and contrasting it with other world views. In other words, point 1. above will be supported when I contrast it with the Hindu idea that the physical world is an illusion or the Greek idea that it is essentially evil, or the naturalist view that it is not created. 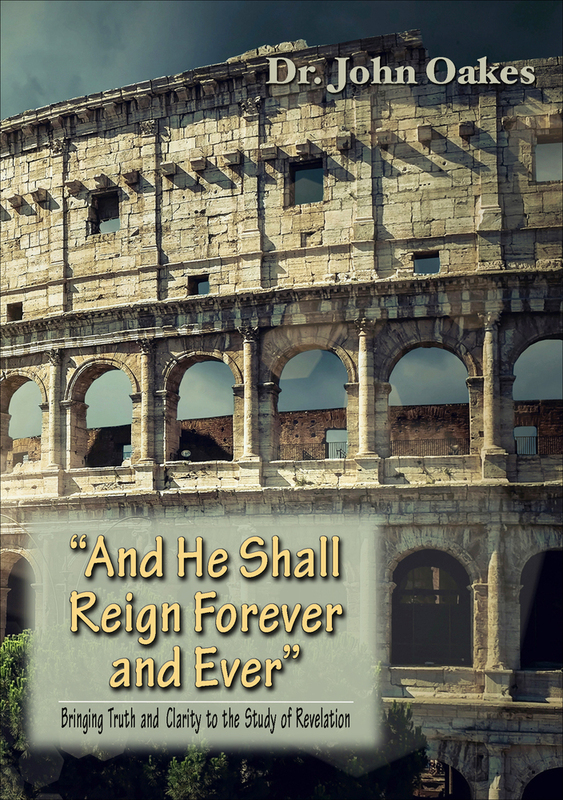 In the last essay in the series, I will come back to the Christian world view, explaining why I believe it is that Jesus Christ provided us with what is far and away the "best" view of the world which has even been presented to mankind. It is my hope that in the process some of my readers will have had their view of the world changed-that it will more perfectly reflect the perspective of Jesus of Nazareth.